When it comes to uneven skin texture, light acne scars, and sun spots there is only so much skincare products can do. This is why on my quest to combat the above I’ve turned to board certified facial plastic surgeon Dr. Tansavatdi for intense pulsed light laser treatments (IPL) to help with my discoloration, derma pen micro-needling to smooth scars and platelet rich plasma (PRP) for overall collagen stimulation and texture improvement. 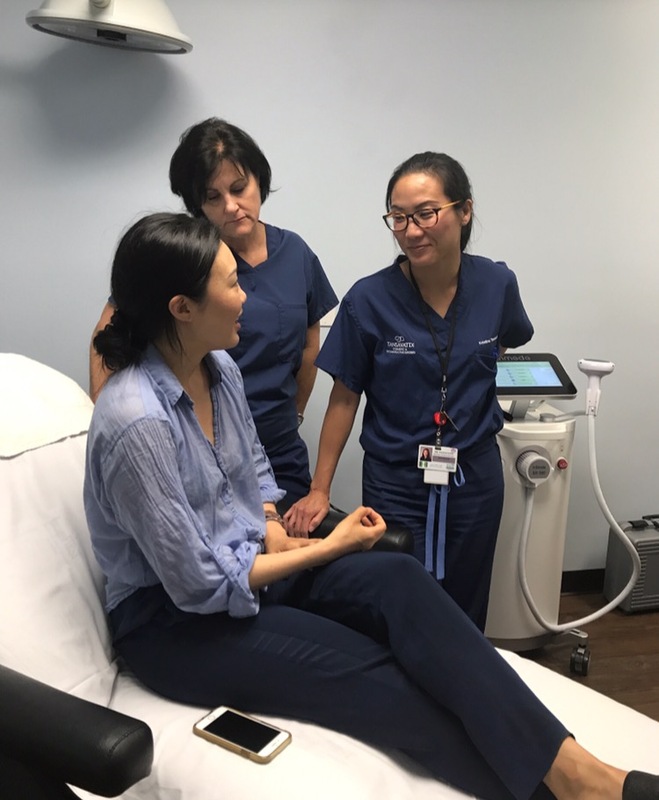 If you’re unfamiliar with the amazing skin enhancing benefits of micro-needling and PRP, read this blog post that goes into full detail. Or this article from John Hopkins Medicine website that explains how IPL works to lighten sun spots. 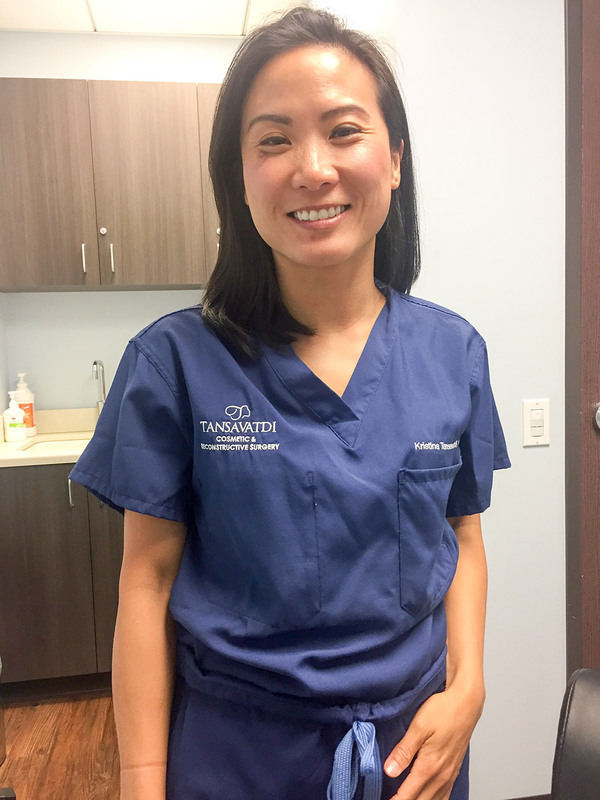 Dr. Tansavatdi has been an important resource over the course of the past year lending me her expertise for various blog articles I’ve written, including “How Our Face Shape Changes As We Age,” “The No-Knife Facelift: Ulterapy,” and “I Quit Smoking Years Ago – Is It Possible To Repair The Damage?” . 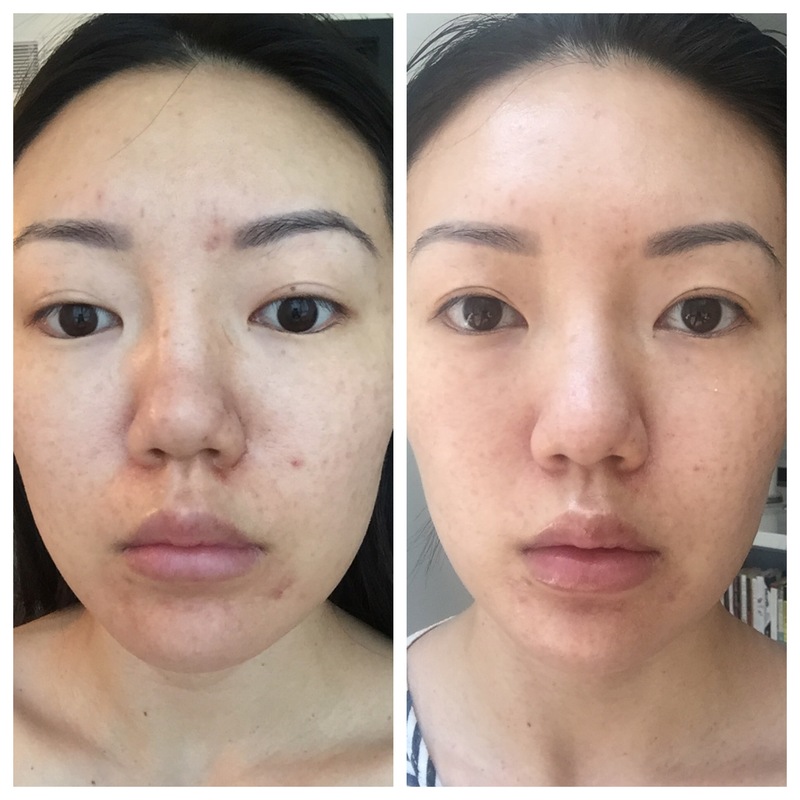 During each interview I was beyond impressed by her meticulous, thorough and precise explanations so when I was ready to tackle my skin concerns, I knew right away she was someone I could trust with my face. 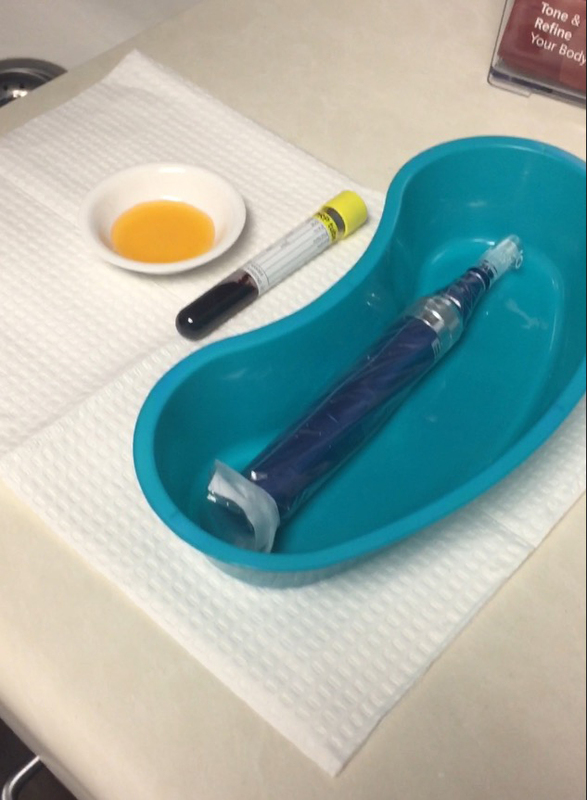 Each individual IPL treatment at Dr. Tansavatdi’s office costs $400 and an individual microneedling with PRP treatment is $500. If you purchase the treatments in a package, they’re 10-20% less depending on how many sessions you purchase. While the cost is high, the results are worth it. 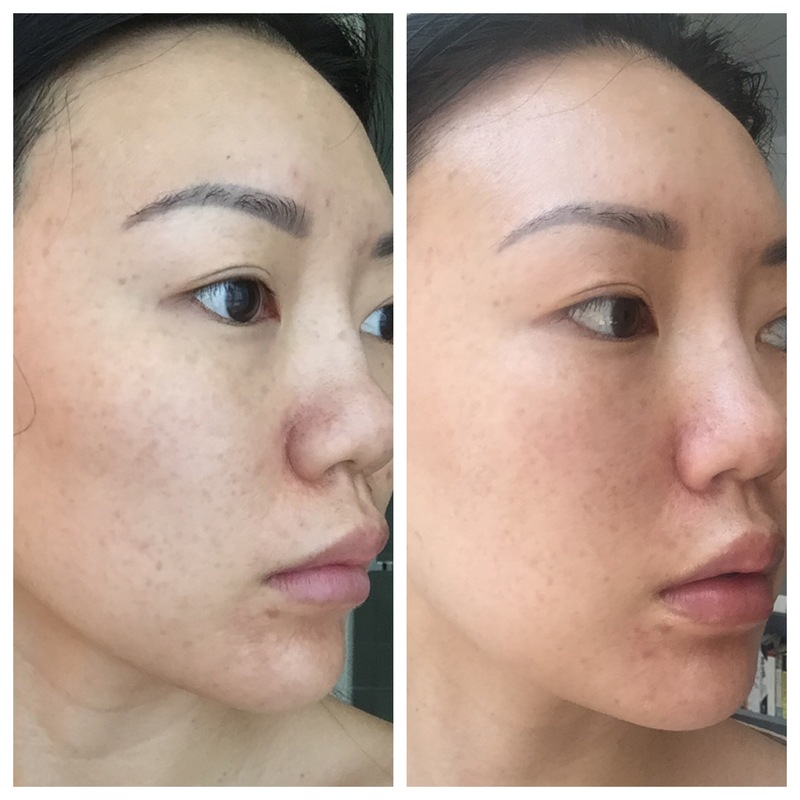 Here’s an image of my skin before on the left and after having only one IPL + micro needling + PRP treatment on the right. I decided to commit to 4-6 combo treatments to see the best results, and have had three treatments so far. I plan on posting before and after photos after I complete the series! Read on for a step-by-step breakdown of the treatments. With Dr. Tansavatdi, there is no numbing cream used prior to the IPL treatment. This actually shocked me at first since I’ve had IPLs in the past at other medical offices where they used numbing cream to prep my skin. 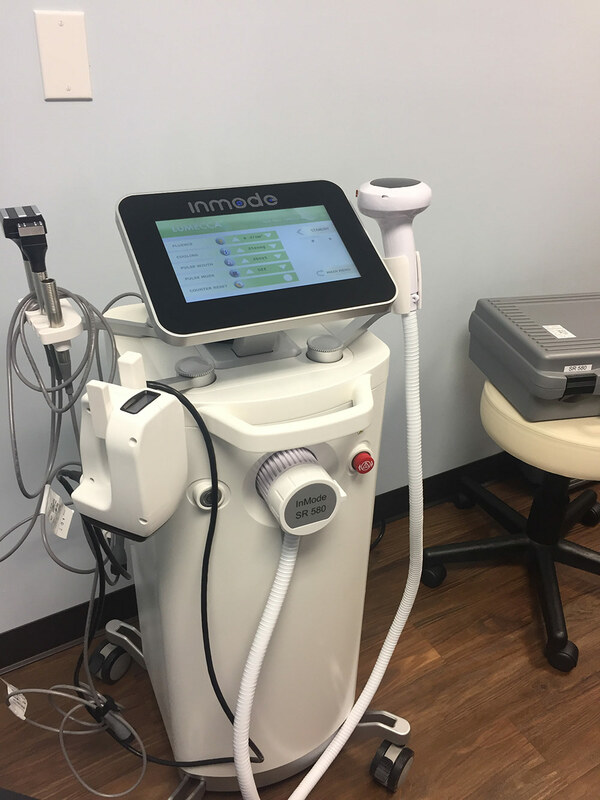 Dr. T explained to me that while the numbing cream makes the treatment more bearable, it causes some irritation/redness of the skin which can confuse the laser (since the laser targets pigment and redness) causing it to target the wrong areas. Without the numbing cream, the IPL feels like a rubber band is being snapped on my skin. Not unbearable, but sensitive around the mouth and forehead. She applies the laser first vertically and then horizontally to make sure every spot is covered. The whole treatment takes about 15-20 minutes. My skin looks pink after the IPL and right away my sun spots start to darken (before later sloughing off). 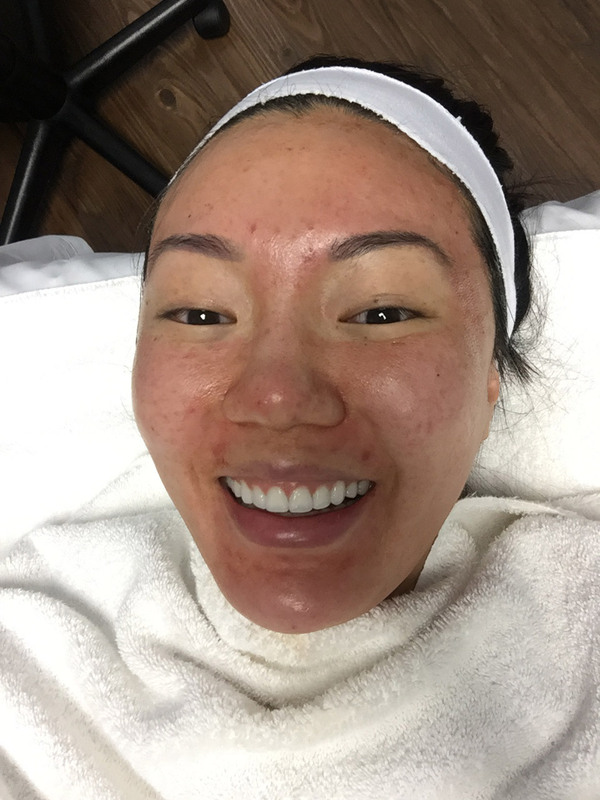 My skin is cleaned and then numbing cream is applied in preparation for the micro needling, which takes about 20-30 minutes. The cream tingles and before long I can’t feel my face. The nurse draws one vial of my blood while the numbing cream goes to work. The vial is then put into a centrifuge device that spins it separating the red blood cells from the white blood cells and the plasma. 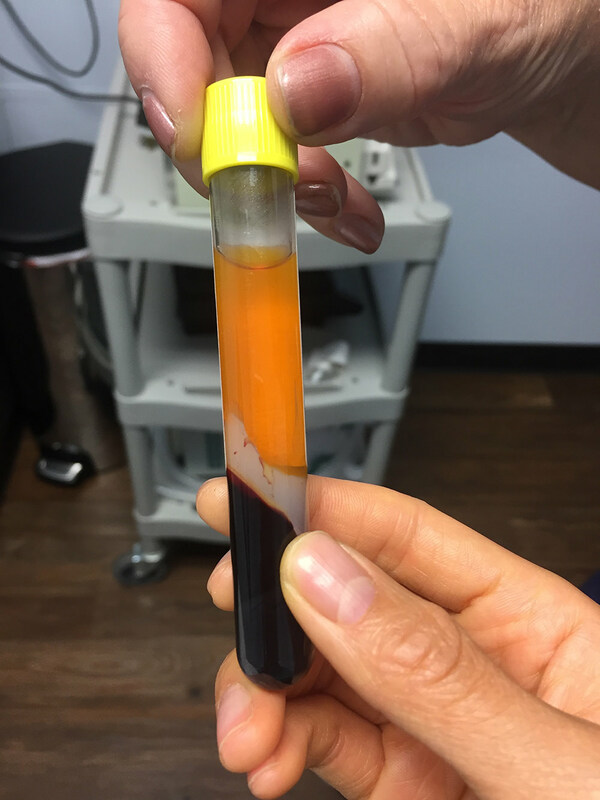 Using a syringe, the plasma is drawn out of the vial and placed in a small dish for application during my microneedling session. 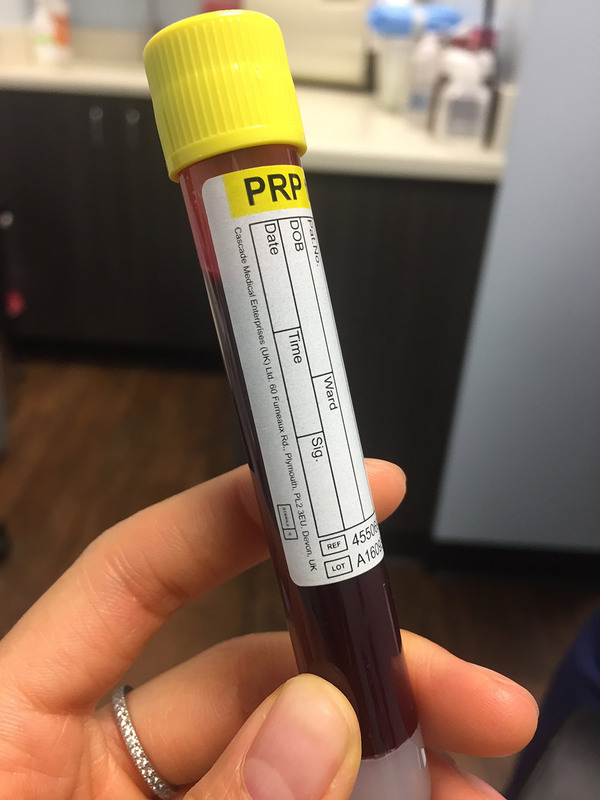 The PRP is applied directly to my skin as she uses the dermapen device applying it before and after puncturing the skin. This step is absolutely PAINLESS. Your face is numb. You feel nothing. And after twenty minutes of the derma pen being glided back and forth, up and down along your face you’ll look beet red and swollen. The swelling will go down within 24 hours. The redness will soften and leave a sandpaper-esque texture sloughing off after 4-5 days. Picture above is of my right after completing the treatment. DO NOT use any exfoliants at least two weeks post treatment. And be wary of hidden exfoliants!! No acids, no retinol, no scrubs, no muslin cloths, no clarisonic brush, no masks. This will impair your results and damage the skin! Some products are obviously exfoliating, but there could be small amounts of acids or fruit enzymes in products not marketed as exfoliants. For example, some micellar waters contain lactic acid and there are hyaluronic acids with skin resurfacing ingredients like lumicol.If you’re going to use ANYTHING on your skin other than what your doctor gives you for post-care, make sure to check all of the ingredients for any hidden exfoliants. I learned the hard way and not only irritated my skin, but impaired my results after one treatment when I used a micellar water with lactic acid by accident?! Be sure to be diligent about sun protection since your skin is uber sensitive and fragile post treatment. This one should be a no-brainer but it must be said again since unprotected sun exposure could lead to darkened pigmentation. This means sunscreen is a must or else SPF scarves, visors and/or hats. I review my favorite SPF hats/visor here. With that being said, I have found that my skin heals faster and better when I avoid putting anything on it i.e. sunscreen and makeup. But if I have to go out of the house and apply either, I wash it off immediately upon returning home to limit the amount of time anything was on my skin. Avoid sweating for 4-5 days post treatment. This means no intense exercise, saunas, steam rooms, or hot baths. I’ve heard mixed responses on this tip. I personally, have found that it helps my skin heal faster and the results seem much better when I avoid the above. But there are some doctors who say sweating is fine a day or two after treatment. I would say if you can avoid it, do it. CLEANSE – Osmia Rose Clay Facial Soap uses gentle pink and white kaolin clay to remove impurities while hydrating skin. It’s one of my favorites because it’s so gentle and creamy! Coconut milk, mango butter, and avocado oil make it amazing for soothing sensitive skin post treatment. HYDRATE – Susanne Kaufmann After Sun Gel. I’ve talked at length about my love for this product. It soothes redness and inflammation with cardiospermum and contains three different size hyaluronic acid molecules to penetrate the various layers of skin. There’s a cooling feel instantly upon application. I found it to be just enough moisture for my skin as it healed without being too much; I noticed that when I used a heavy moisturizer in addition to this HA serum with lots of butters it would delay the skin’s sloughing off process. PROTECT – Luzern La Defense SPF is my go-to SPF for daily life, but it’s incredibly well suited for protecting skin post micro needling treatment. It protects skin from UVA and UVB rays, as well as environmental particles like smoke and pollution. It also contains hyaluronic acid and antioxidants. Read here for my full review. I highly recommend avoiding face makeup for at least 4-5 days if you can. If you must wear makeup, wait at least 48 hours post treatment. The makeup that’s safe for my perioral dermatitis I found to also be safe post microneedling treatment. Read here for my recommendations. Overall I am very happy with the results thus far. I’ve had three treatments done and the improvements to the texture of my skin is without a doubt stunning. The pigment results are happening slower, but I know pigment is so hard to lighten. It really takes time and diligence. I will be posting another update after I complete the series of treatments in a few months. The best part about the results is that they’re accumulative and build slowly even months after the treatment as your skin continues to create new collagen.